She has been dubbed many things by folks in the last couple of weeks…the mystery machine, shaggin’ wagon, creeper van, A-Team van…you name it, we’ve probably heard it. I suppose it would be fun to actually choose a name. 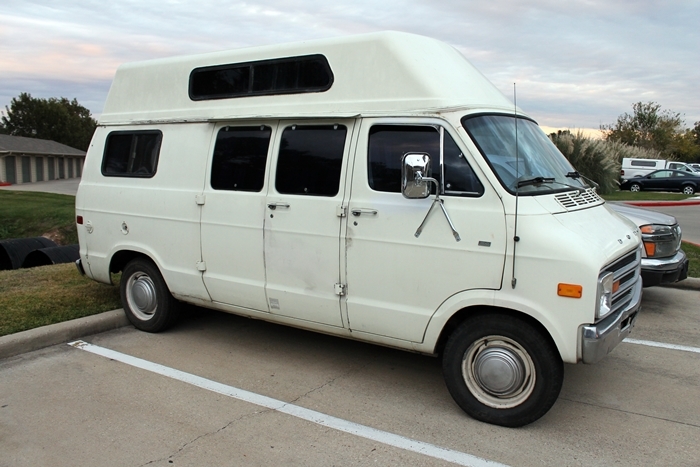 So far we’ve just referred to it as “she” or “the van” when discussing plans. She was an opportunistic purchase two weeks ago. 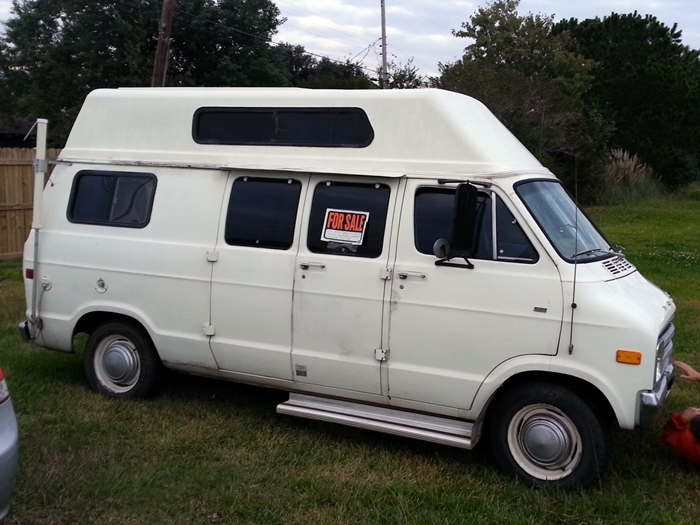 She is a 1978 Dodge 1-ton Tradesman van, complete with camper conversion inside with bed, stove, and cabinets. She has a new (second) engine installed in 2010 so she runs like a champ although she does have quite a few creaks and squeaks and needs a bit of TLC in other areas. 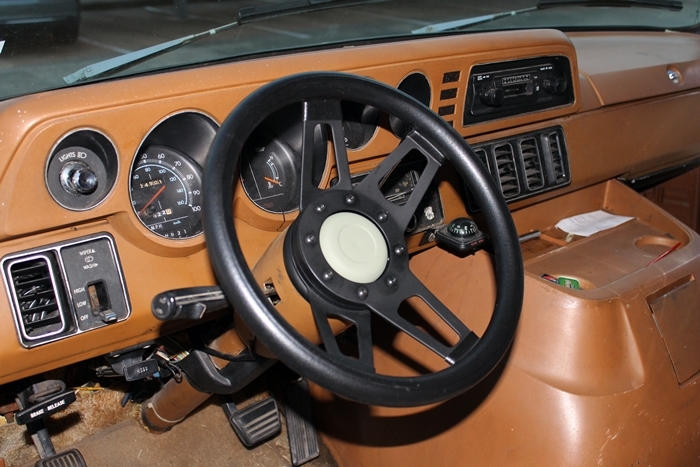 As for interior, well, it’s original, and very 70’s. (You’ll have to wait to see that another day.) We do plan to renovate everything. Eventually. Today, I want to show off a few of the initial cosmetic changes Don has made so far. They may be hard to spot at first glance. You might scroll back up to the first pic to see the difference. 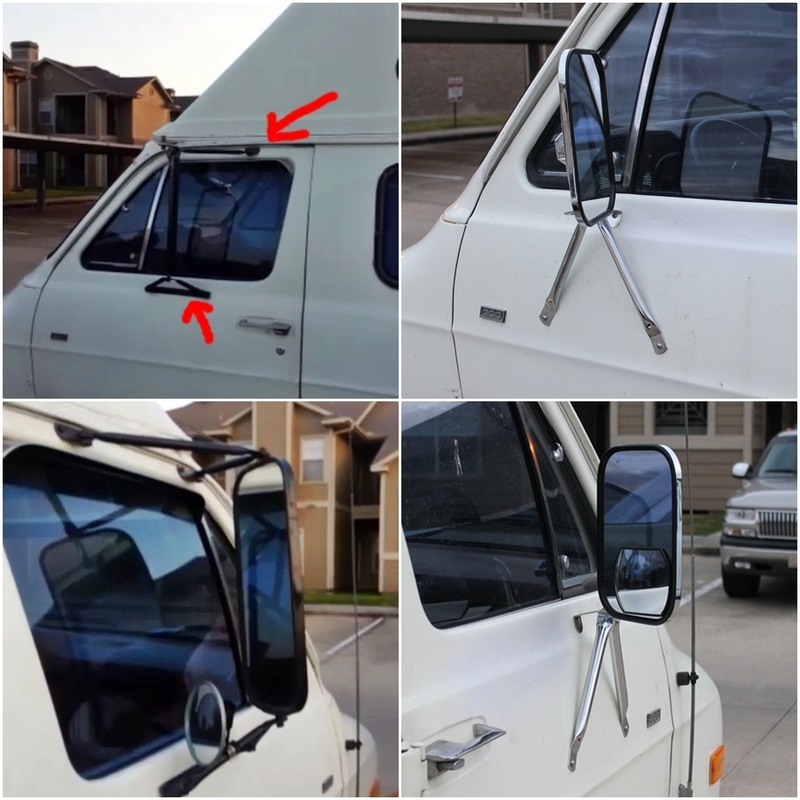 He removed the steps, the funky PVC pipe antennae holder that had been attached to the rear of the passenger side, and replaced the side mirrors. Here’s a close-up before and after look at both mirrors. The hardware was quite old and the placement of the supports was odd. 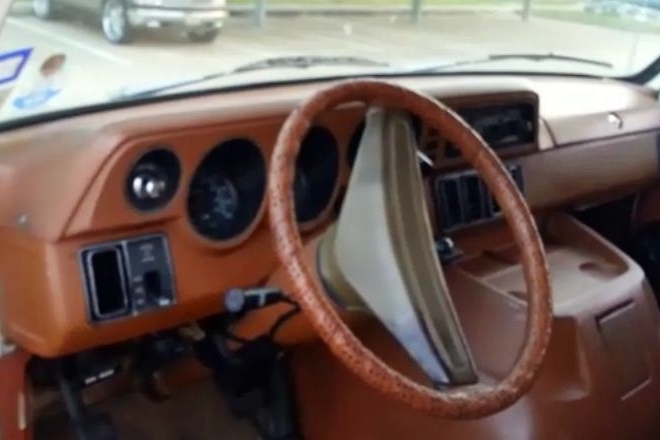 He also replaced the steering wheel. We have many, many more plans but all in good time. There are a few minor mechanical items that need to be tackled first like repairing the fuel gauge (Don already ran out of gas last week, luckily just as he pulled into a gas station so he coasted right to the pump), replacing the exhaust system which is about to fall off, among other things. A bit of elbow grease and good times ahead!